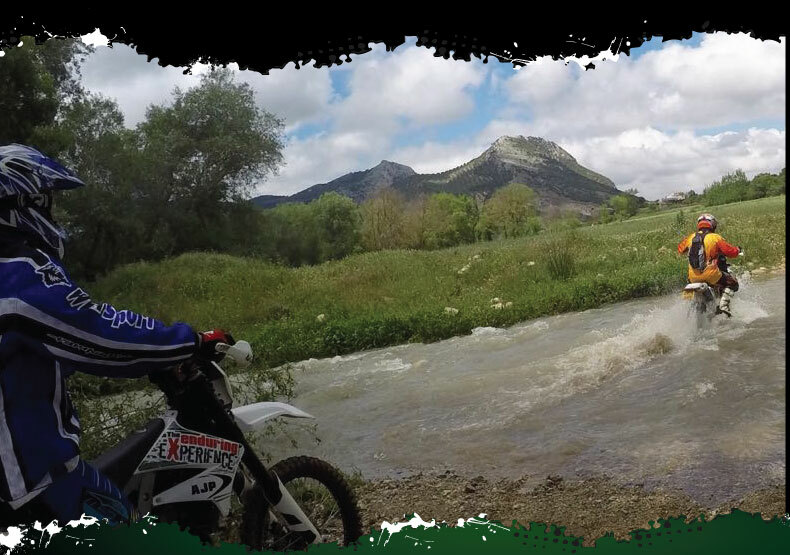 Off-Road Motorcycle Holidays in Spain. 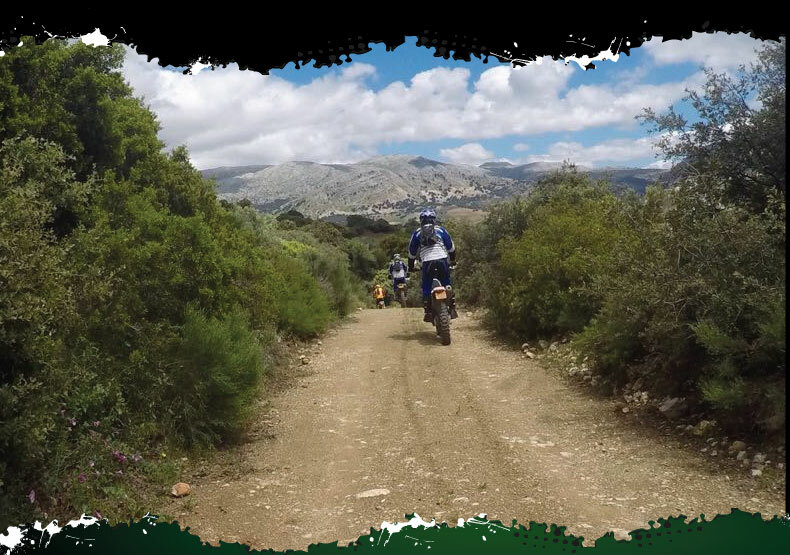 Motorcycle Trail Riding Holidays in Andalucia, Spain. All our trails are designed to give riders off all abilities the freedom of riding a bike off-road. You are surrounded by the breath-taking scenery of Andalusia. Riding bikes that inspire confidence. All trails include pit stops to have a drink, some lunch and take pictures of the views along the way. We leave La Nava at approx. 10am. The return times are never set in stone as it depends on the group we are taking out and every group has a different pace and abilities. Our first trail is about 68 miles increasing over the days to 120 miles. 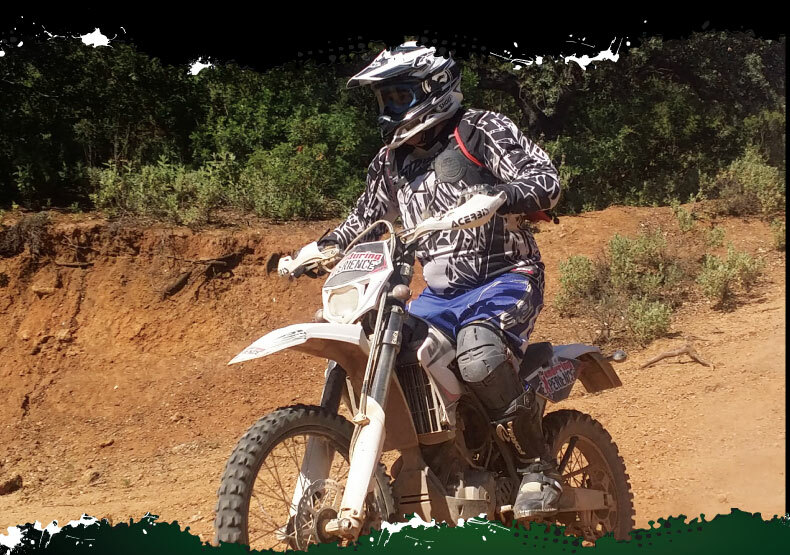 We always ride at a pace that suits our guests with expert tuition and help readily given along the way. All our fleet of bikes which currently stands at 18 are fully and expertly maintained by myself and our team. 90% of our bike range age between 8 months old or are brand new for the 2019 season. Once the bikes are back at base from being out on the trails, they are all individually checked, any repairs carried out and lubricated for the next day challenges. When not being ridden or between groups they are serviced regularly. We can accommodate single riders and groups up to a maximum of 12. All staying here at La Nava. where accommodation comprises of 4 twinned bedrooms, 3 bathrooms, lounge dining room, and kitchen. The farmhouse which sleeps up to 8 guests. We also have the granary next door which is a self-contained two twin bedrooms one bathroom, and an open planned kitchen living and dining area. It also has its own private court yard with a bistro table and chairs for you to relax and enjoy before and after your day out on the trails. Outside is a large mature tranquil communal garden with a barbecue. 2 large tables and chairs to eat at, a shaded seating area with a comfy large sofa and of course a large fully maintained swimming pool with loungers around to soak up those rays. This is where our guests chill out and engage in banter and swapping stories of the day’s trails. 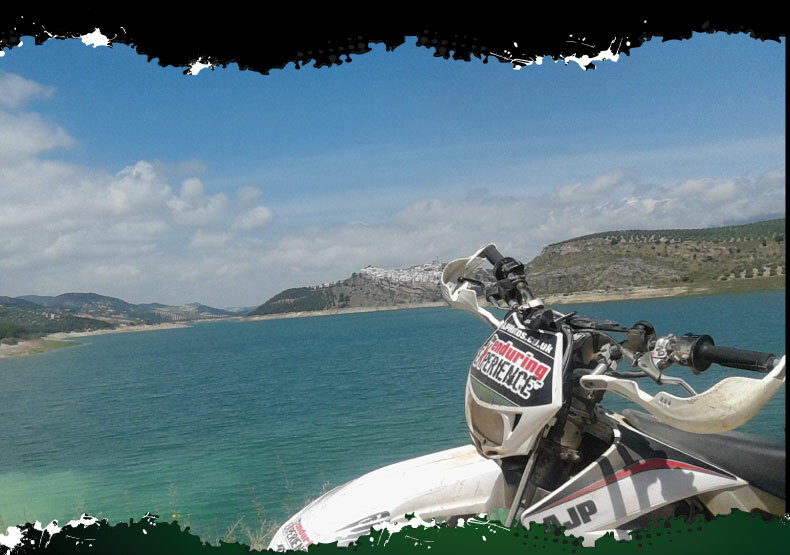 Our staff here in Spain and in the Uk strive to ensure you enjoy at La Nava is an unforgettable one and we are always looking at the smallest detail to improve our off-road bike holidays. Whether you are male or female novice or experienced, there is no where better to ride fantastic bikes, stay in a fully equipped well-presented comfortable chilled out accommodation. 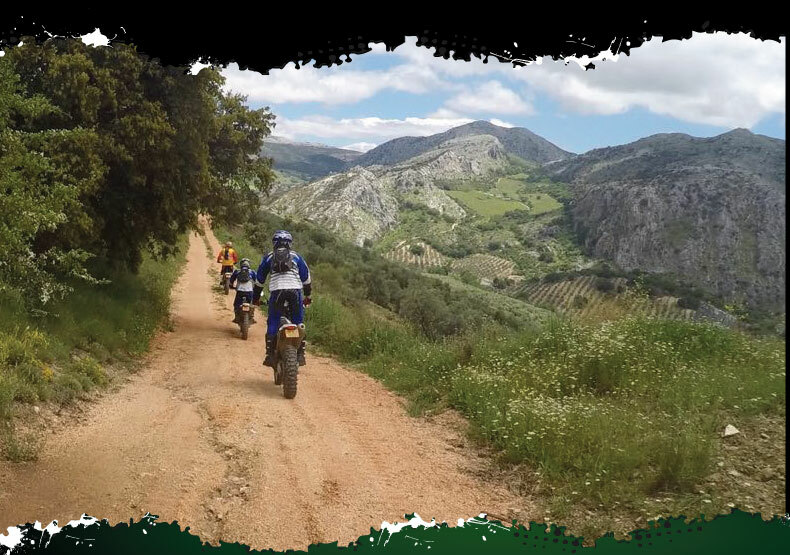 Experience trail riding in the amazing Andalusian countryside, in an area that the locals love bike riders and where the trails are varied and offer something for all abilities. In essence after 12 years of offering trail riding here in Spain. Unlike other companies here in Spain who advertise as the “best” we don’t have to and we believe we are!! 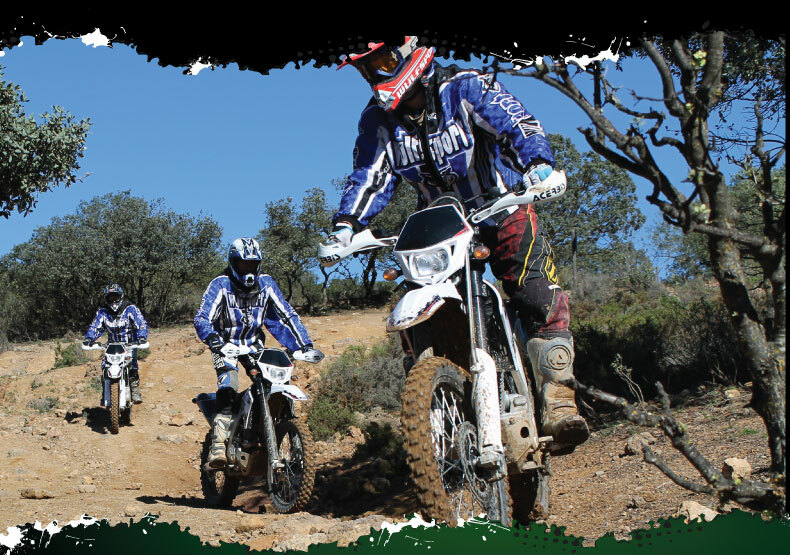 We are a Spanish registered company, and have spent an enormous amount of money to prepare for being 100% legal after Brexit, but we are still able to offer our off-road trail bike holidays at very reasonable rates. Take a Look and book an off roading experience. You won’t be disappointed…!! 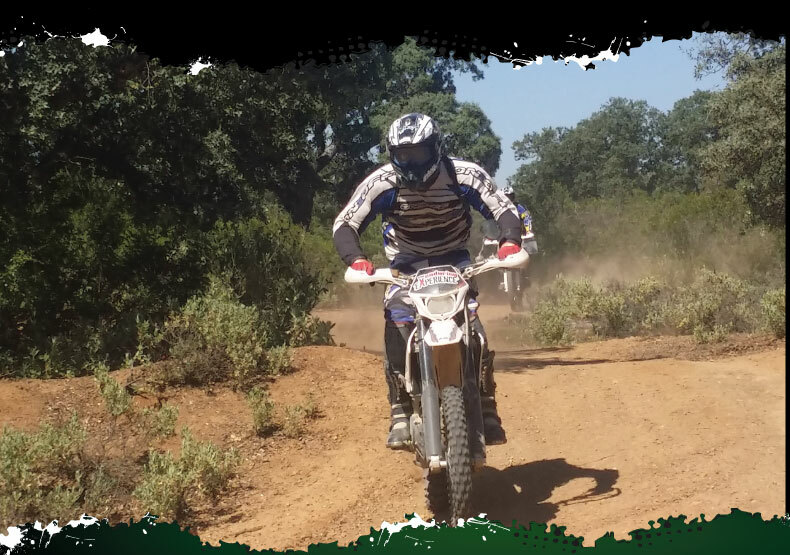 If you’re already used to off-road, enduro or motocross riding, we can customise the tour for you. 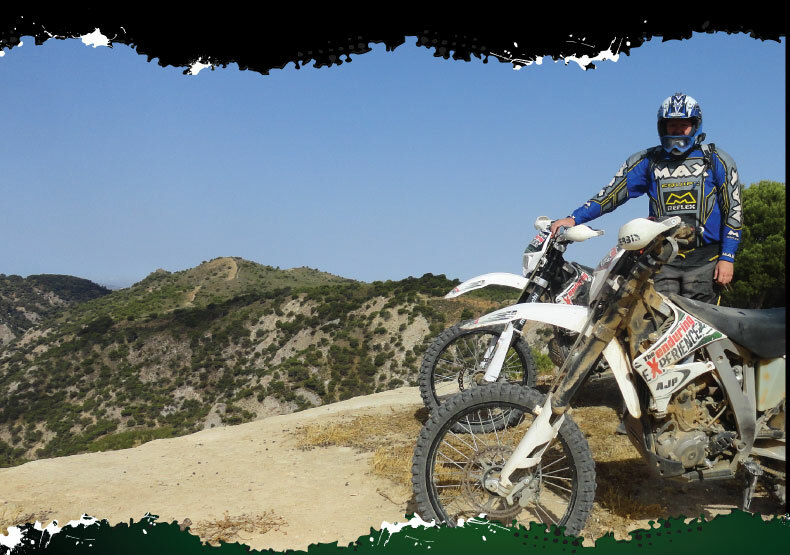 We can also tailor an off-road motorcycle tour for more experienced motorcycle riders. You may want to explore not only the hills and mountains of Southern Spain, but also improve your riding abilities. The pace is more “enthusiastic” and the routes we take you on will generate a little more perspiration. ...perfect for practicing enduro riding. 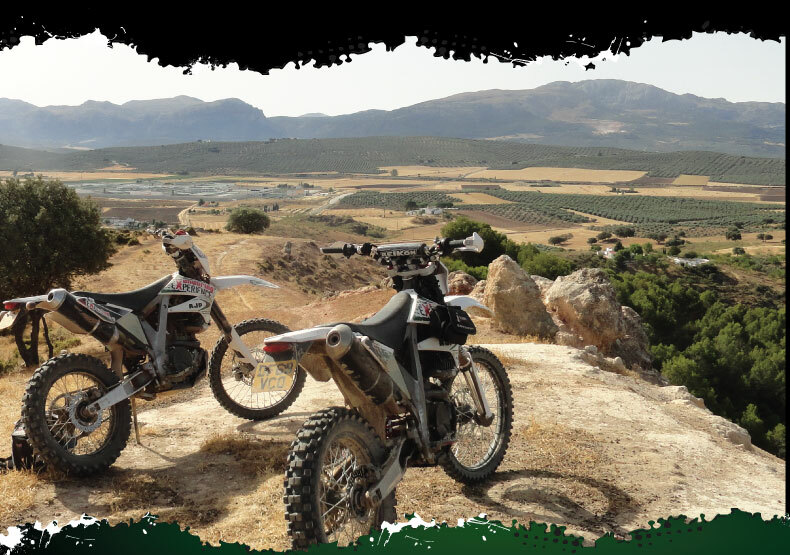 It’s warm, sunny and you feel the thump of a single cylinder four stroke off-road bike kicking up the dust in one of Spain's most picture perfect regions, where the vast scenery will take your breath away. 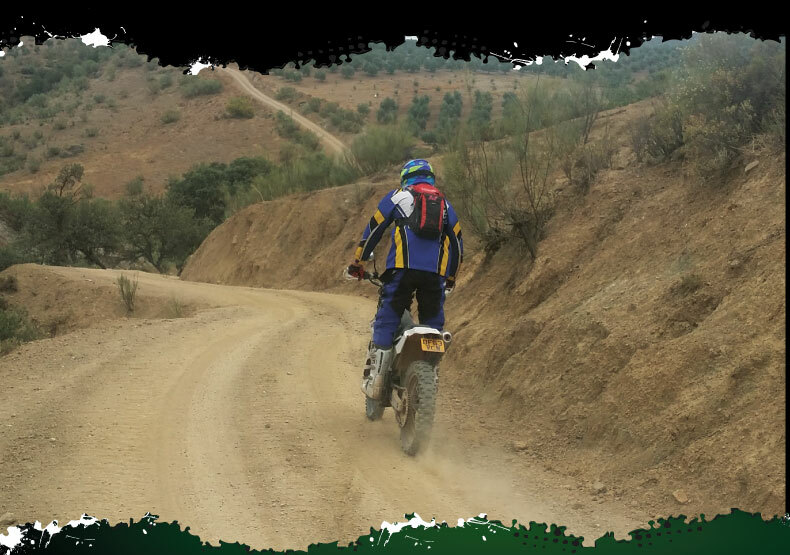 Motorcycle trails and dirt tracks criss-cross the Andalucian hills, covering a breadth of terrain to entertain and challenge riders of all abilities. But there’s no rush, it’s not a motorcycle race or an endurance test, your experienced guide sets a pace gentle enough to enjoy the view and the ambience, tailoring the pace to the abilities of you and your riding mates. It’s big on fun, low on pressure, just as any good holiday should be. If you get stuck, everyone helps, if the pace is too hot, everyone cools it down. Our expert ride leaders will tailor the whole experience to maximise your enjoyment. 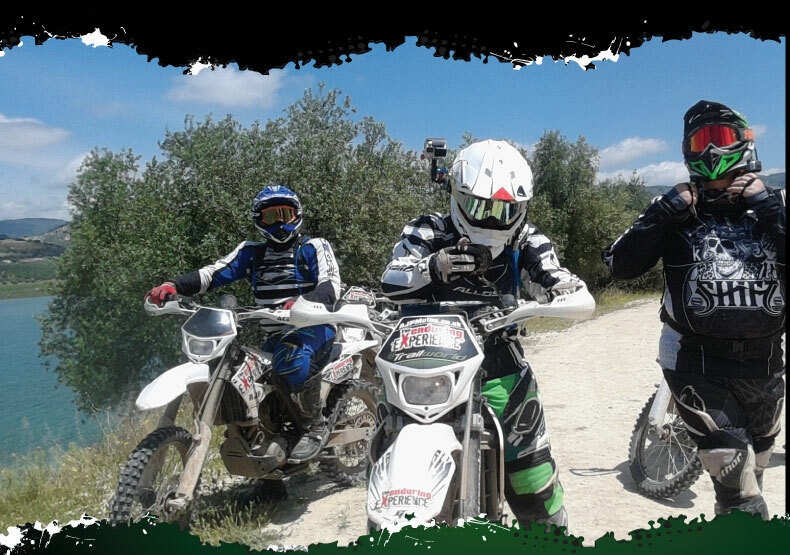 From the positive feedback we get from our customers and the amount of repeat business we are pretty sure you won't be disappointed trying out one of our offroad motorcycle motorcycle holidays. WOW! What a superb set up you have, 10 out of 10. Trailworld, thanks for making it so enjoyable, showing us around the town, the welcome pack when you get there, the superb accommodation... it was ace! Trailworld was amazing for putting up with us!! You keep the bikes in great condition and the effort you have put in to the routes makes the experience just awesome!! Stopping off at the bars, riding through the back streets of the village! You made us feel like your extended family! I’m just waiting for the right time to get another pass from the wife and we will be in touch!!! Did you get the misfire sorted? if not I can pop back over and stay for... say the next 10 years and help you!!!! Are you sure you don’t want my CV? I think I can speak for all of us when I say It's going to be a long year waiting."